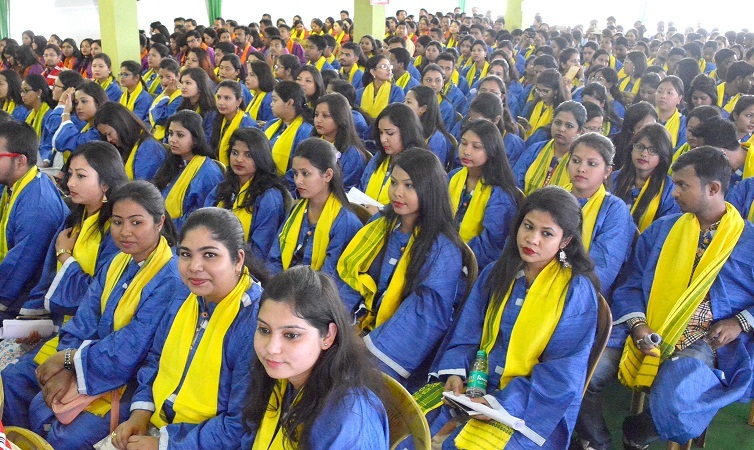 Degree holder students during 17th Convocation of Dibrugarh University. # An amount of Rs. 700 per month will be paid for 10 months as “mess bills” for students staying in the hostels of Government or Provincialized Colleges and Universities. # Free uniform to students up to class X. # Battery operated “e-bikes” to all girl students who secure 1st division in higher secondary examinations. # Minority Girls scholarship schemes to encourage higher education.